Teachers do an incredible job with our kids, helping them grow in knowledge and as people. They have our kids for at least six hours each day, helping them understand concepts and guiding them on how to develop skills and make wise choices in life. These unsung heroes that don’t get paid nearly enough for the priceless work they do, day in, day out, deserve our thanks. We offer a number of presentation bouquets are a beautiful way to say thank you to a teacher. They come in many styles and colors to personalize your gift. For example, the Vibrant Presentation Bouquet features bright and bold hues. These bouquets come in three sizes, containing 25, 35, or 50 blooms. 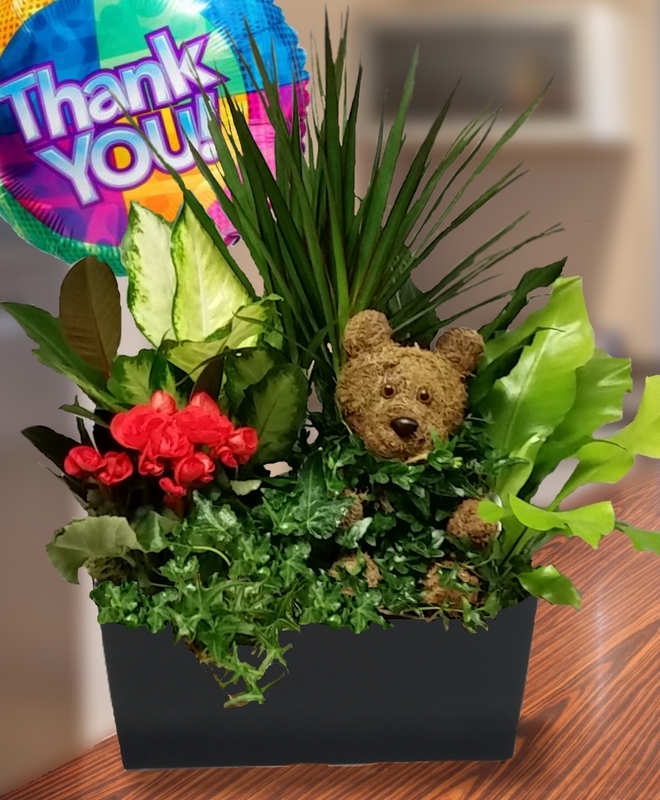 The Teddy Bear Topiary Flowering Garden and Thank You Balloon is a great gift that includes a unique topiary in the shape of a teddy bear as well as many types of green plants in a basket along with a Thank You Mylar Balloon. We have many other unique topiary baskets available as well. The Thank You Gift Basket is just one of many gourmet baskets we have available that make a great gift for one teacher or a team of teachers. 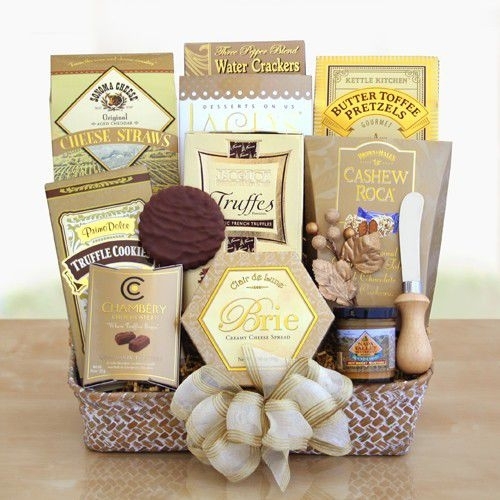 This particular basket contains some delicious items, including Cashew Roca, chocolate truffle cookies, chocolate raspberry truffles, cheese straws, Lacey’s chocolate wafer cookies, cheese, water crackers, Jacquot truffles, Napa Valley mini mustard, butter toffee pretzels and a cheese knife. We have numerous flower arrangements that offer a way to say how much you appreciate a teacher. For example, A Toast to You! 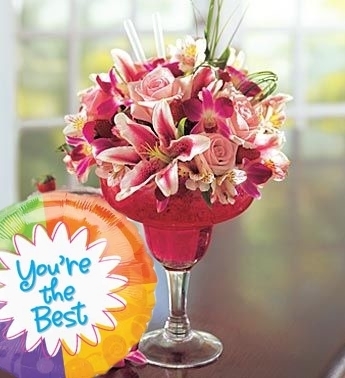 Strawberry Margarita with Mylar offers lilies and roses in a keepsake margarita glass. Other flower arrangements fit perfectly on a teacher’s glass, including Celestial that features hydrangea, orchids, lilies and roses in a glass vase. While this one is all in white, there are many that offer pastel or bold colors. 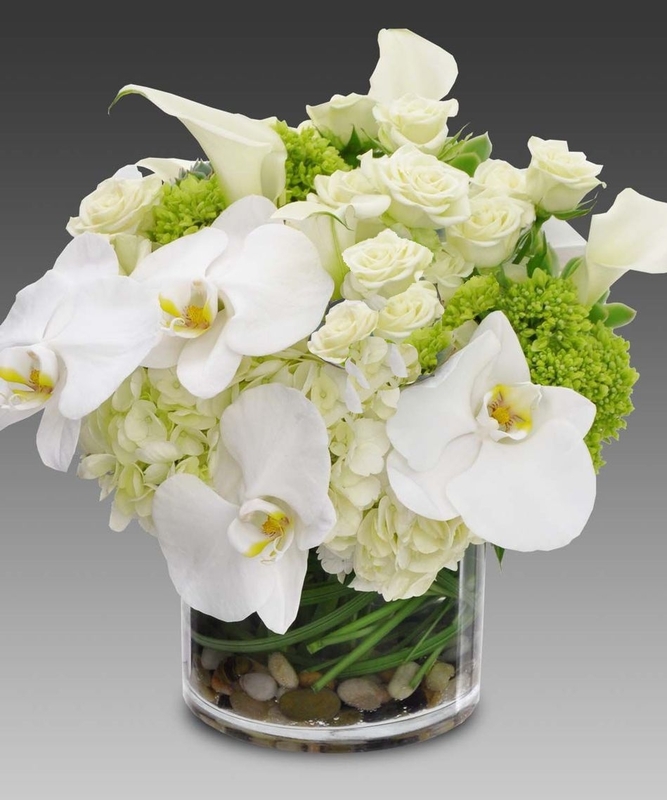 Our Atlanta flower shops can deliver throughout the Atlanta area to schools, offices, and homes. Call, go online, or visit our locations to order now to celebrate all those incredible teachers.